There are lots of ways you can help The League of Friends. Click here to find out more. Find out more about the League of Friends, what we do and how we help. The League of Friends is a registered charity which was formed in 1954 in South Devon. Since our big ICU project we have already been able to purchase some new opthalmology equipment, buy a new fish tank for the children in Louisa Cary ward and pay for the refurbishment of a Doctors' rest-room , Decorated the day surgery children's ward and bought ramp scales for the physiotherapy department. 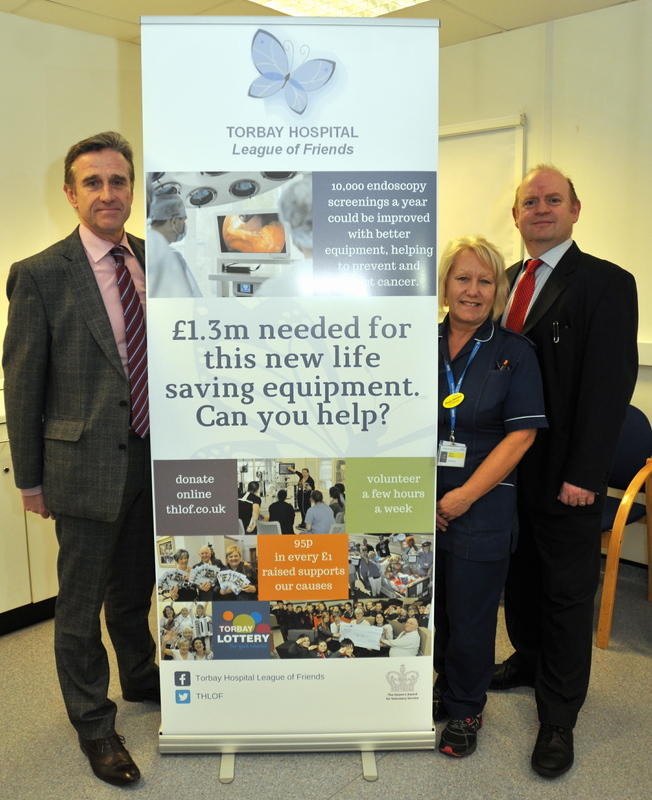 We are now looking now at the urgent need for the hospital's endoscopy equipment to be upgraded and are aiming to raise £1.3m for 25 new 'scopes and the supporting video equipment to help prevent and detect cancer. Thousands of patients a year will benefit. You can read more about this here. There are so many ways that you can help our charity and please remember that 95p in every pound raised goes directly to our cause. Please click to find out how you can donate or volunteer today. We had our annual Fish and Chip Supper at Hanburys. Dave Hanbury donated the food and venue, our thanks go to him for his generosity which enabled us to raise over £1000; and a good time was had by all.